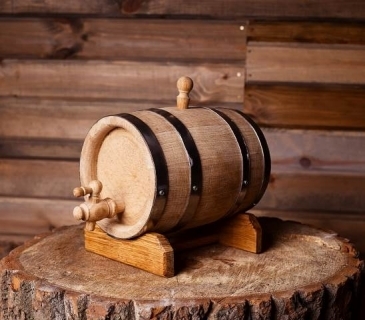 Wooden barrel casks used to age wine and whisky are traditionally made of oak staves. 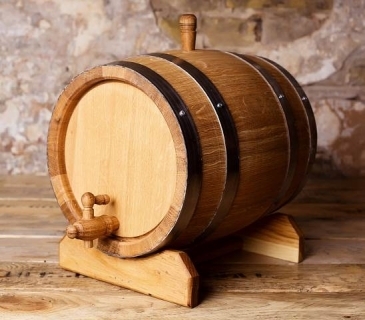 Our barrels are handcrafted of European oak staves using traditional cooperage method. 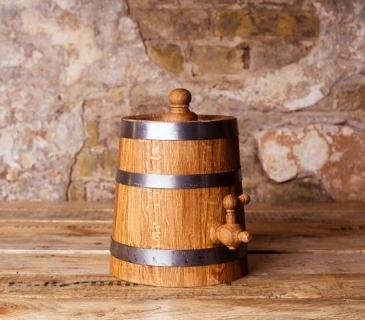 Each barrel comes with tap, bung and stand made of oak. 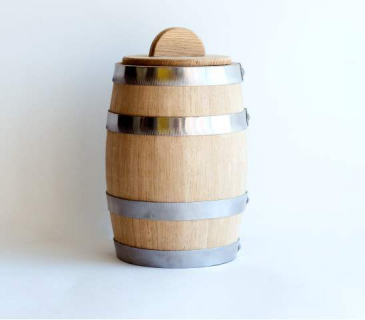 Hoops that hold barrels are made of stainless steel or brass. 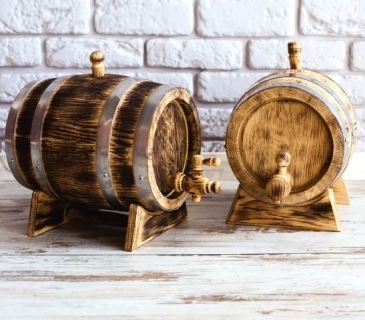 As long as all our barrels are handcrafted type of stand, tap and bungs can have a bit different look; dimensions and volume capacity also can vary. 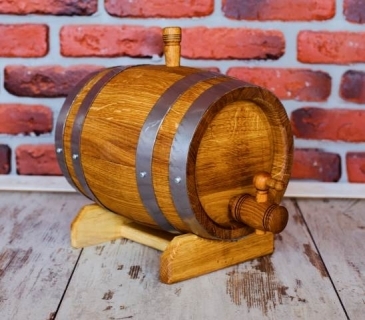 Normally the volume of the barrels is a bit more than it is stated. There are many levels of toasting and charring from slightly toasty finish to heavy charred finish, so called "alligator skin". 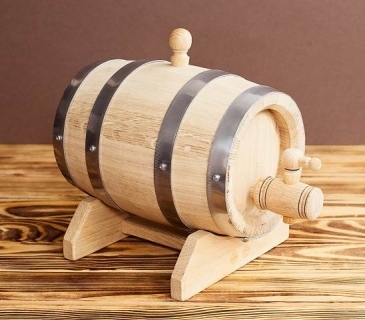 The more barrel is exposed to fire the hire level we have. 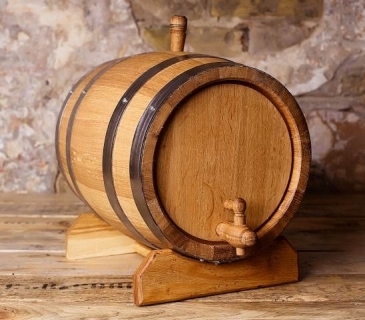 Depends on which level is applied it is controlled the amount and kind of aroma your liquid absorbs from the wood. Charred barrels have a layer of carbon charcoal. The more charring level the thicker carbon charcoal. This carbon filter absorb and remove undesirable flavor and impurities. 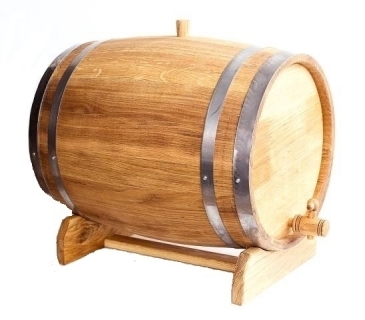 Slightly toasty barrel will have higher tannin content and impart minimal aroma enhancement. 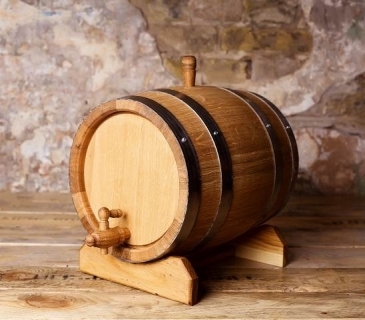 Heavy charred barrels have less tannin content and provides more vanilla, caramel and smoky flavors. The char also provides amber color to the whiskey. 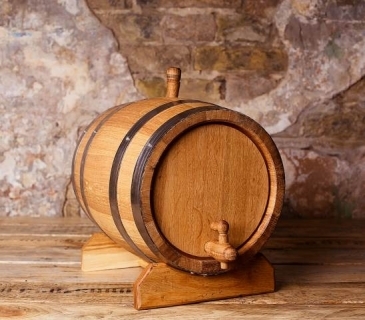 All our barrels have medium plus toasting level. 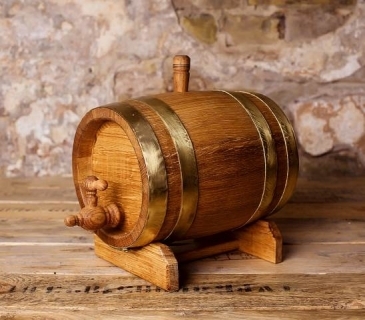 They can be used for maturation of wine, whiskey and other drinks. 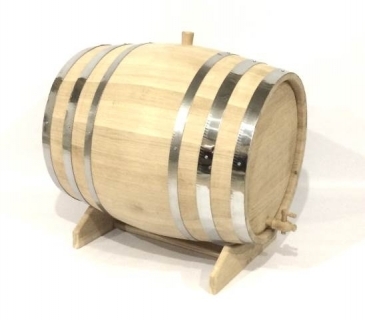 On your request, we can provide barrels with any toasting/charring level. 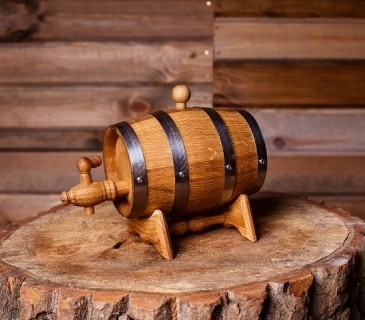 Before using of any barrel, please, read the instruction of how to store and maintain an oak barrel.